For those looking for a super cool, food allergy role model for their kids or teenagers – look no further. Surely you’ve heard of Alex Tagliani aka TAG? He’s currently competing in the NASCAR Canadian Tire Series driving the Tagliani Autosport EpiPen #18 car. He’s an amazing driver and he is allergic to peanuts and tree nuts. He has recently joined efforts with Food Allergy Canada to help spread allergy awareness in Canada via Summer of TAG, where Alex visited schools to teach kids about food allergies and how to stay safe. There were even contests for drawing an allergy themed helmet and race car design. How cool is that? Can you imagine your child’s drawing on a Nascar? Jennifer with Alex Tagliani , driver of the #18 EpiPen Nascar. The Tagliani Foundation held a Golf Classic benefiting Food Allergy Canada in September where I was able to volunteer. I spoke with Alex Tagliani about his food allergies- what it was like growing up with them and how he handles them now. He said his skin was really inflamed and irritated as a baby, but after allergy tests confirmed his peanut and tree nut allergies, his mother (who was nursing Alex at the time) eliminated those foods from her diet and the reaction ceased and his skin cleared up. 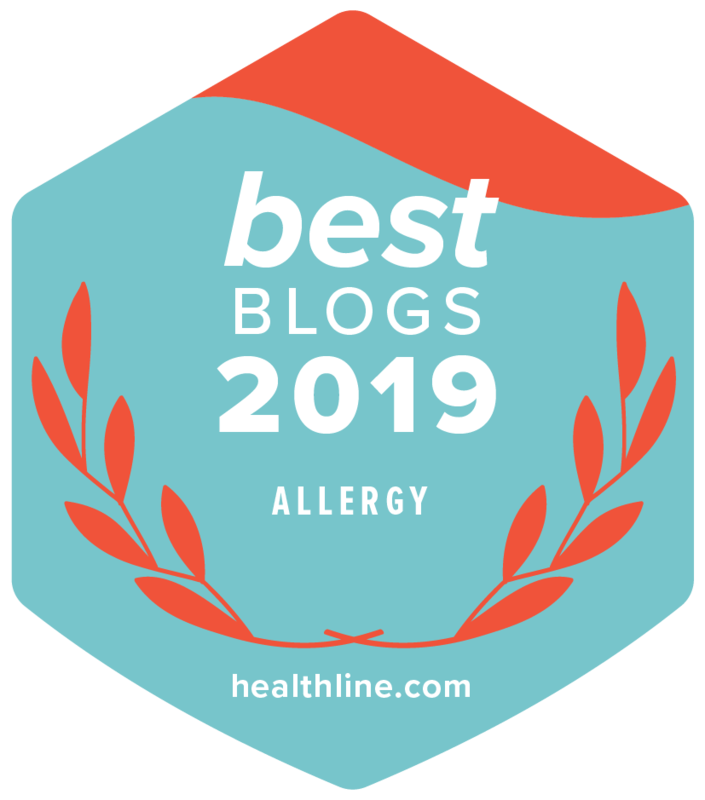 Those allergies later developed into something much more serious and Alex has experienced multiple anaphylactic reactions over the years when he was less careful. He confided that Bronte Tagliani, his wife and Director of the Tagliani Foundation and mastermind behind the Golf Classic, has been instrumental in reminding him to always keep his epinephrine auto-injector with him. Bill Patterson painting Alex Tagliani’s racing career. One of the highlights of the day (besides helping Food Allergy Canada and meeting Alex and Bronte) was getting to see Bill Patterson do his thing – he performs live art. I witnessed this painting go from a plain white canvas to the Tagliani collection you see here. What was really fun is that all the golfers were asked to jump in and make their mark – a splash of color here, a shadow there. Bill and his painting was a big hit. Can you find the EpiPen logo on one of Alex’s cars depicted in the painting? In the evening I sat down for a gala dinner with some fellow volunteers and friends and celebrated a very successful day of fundraising for Food Allergy Canada. If you’re looking for more resources for older kids and teenagers with food allergies, then check out Food Allergy Canada’s Why Risk It site. It features information about food allergies in a way older kids can relate to. There is even a youth advisory panel for kids looking to get more involved in the food allergy community. And what makes it super cool is that Kyle Dine is the program coordinator. And who doesn’t love Kyle Dine?! He has this incredible way of being able to relate to kids of all ages about food allergies. But I digress – check out the Why Risk It site and empower your teenager to make safe food allergy choices. Yes, we think so too! Alex is great!